Foxes sign off their pre-season campaign with a win. City produced a highly-encouraging display to beat Premier League Sunderland, as they signed off their pre-season campaign superbly at King Power Stadium. A solitary goal from substitute Tom Parkes gave the Foxes a morale-boosting win on Martin O’Neill’s return to Filbert Way, but it was the overall standard of their performance that will have encouraged Nigel Pearson and the near-10,000 crowd in attendance. Handing match time to 19 members of his first team squad ahead of Tuesday’s trip to Torquay in the Capital One Cup, Pearson watched his side dominate their top flight opponents and Parkes’ scrambled winner was the very least their efforts deserved. And, on this basis, they will head for Devon in midweek before hosting Peterborough here in the league next Saturday filled with optimism for the season ahead. Those hoping for clues on Pearson’s starting eleven for the opening day of the season would have been scratching their heads pre-match, with new signings and established stars in the side and on the bench. The strike partnership of Jamie Vardy and Jermaine Beckford was given its first outing and the two looked comfortable in each other’s presence. They communicated well, acted as effective foils for one another and made unselfish runs to create space. Behind them, the excellent Danny Drinkwater busied himself in midfield, snapping away at red and white shirts and bridging the gap between defence and attack. A cross from Ahmed Elmohamady that was headed over by England international Fraizer Campbell was about the best Sunderland could muster in the first half. After that effort on 10 minutes, the hosts took charge. Confident in possession, incisive in attack and full of running, City’s forwards began to threaten – Beckford racing onto a Vardy pass before his shot was scrambled away. He won a free-kick moments later that Ben Marshall sent crashing into the stanchion. The chances kept coming. On 23 minutes, a brilliant first-time cross from Paul Konchesky was headed over by Vardy. Five minutes later, the dancing feet of Marshall made some space for a shot and Keiren Westwood was at full-stretch to keep him out. With internationals and Premier League experience throughout their side, a response had to be expected from Sunderland. It threatened to mount in the build-up to half-time when Craig Gardner’s whipped free-kick had to be beaten away by Kasper Schmeichel. But the hosts continued to look the better side and only a goal-line clearance from Kieran Richardson prevented Ritchie De Laet heading home Marshall’s corner five minutes before the break. The significance of Vardy’s withdrawal through injury just before the interval will only become apparent in the coming days and there were more changes at the break, including the introduction of Anthony Knockaert. And the Frenchman soon had the fans on their feet – tip-toeing between two defenders in the right side of the box before his firm, low drive was beaten away by Westwood. Marshall saw another stinging drive tipped over by the flying Sunderland 'keeper a minute later, but City would grab the lead their dominance deserved 18 minutes from the end. Marshall’s corner swung in from the left, Sunderland struggled to deal with City’s aerial presence and Parkes, only introduced to the action some four minutes previously, beat Westwood to the punch to stab home. Few could have argued that City deserved it, much to the frustration of the visitors, who continued to see their advances broken up by City’s strength in defence and industry in midfield. 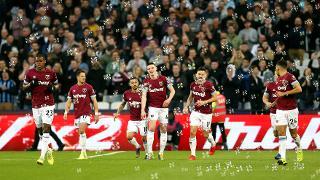 Their frustration was only compounded by Knockaert, whose showmanship in possession brought a wonderful reaction from the home supporters, if not the angered Lee Cattermole. Predictably, though, for a side preparing for a season among the world’s elite, O’Neill’s men cranked it up and were almost level with 10 minutes to play. Substitute Blair Adams’ hoisted free-kick deflected onto the face of Schmeichel’s crossbar, before the Dane reacted magnificently to claw out a header from James McClean. The excitement grew in the closing stages as subs Neil Danns and Martyn Waghorn combined to set up Marshall to curl wide, before Schmeichel reacted well to keep out Jack Colback. But City would comfortably close the game out to secure a winning finale to their pre-season preparations. City (4-4-2): Schmeichel; De Laet (Schlupp 46), Morgan (c), Moore, Konchesky (Parkes 68); Marshall, James (Danns 46), Drinkwater (King 46), Dyer (Knockaert 46); Beckford (Waghorn 46), Vardy (Nugent 43). Sunderland (4-4-2): Westwood; Gardner, Bramble (Cuellar 46), Kilgallon (Meyler 46), O’Shea (Egan 76); Elmohamady (Larsson 46), Cattermole, Colback, McClean; Campbell (Noble 76), Richardson (Adams 76).